REGION 16 — Narcan, a drug used to combat an opioid overdose, will soon be accessible in Region 16 schools. In November, the Region 16 Board of Education, which oversees schools in Beacon Falls and Prospect, supported the plan to keep Narcan kits at each of the district’s four schools. Officials then set forth to craft a policy to cover using the drug and set up training for staff members. 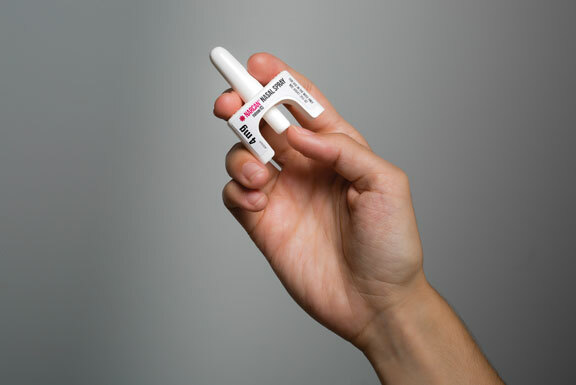 The school board approved the first reading of its Narcan policy last week. In January, 33 staff members received training in how to administer the nasal spray form of Narcan, which is what will be kept in the schools. Superintendent of Schools Michael Yamin said the 33 people trained covered a variety of staff members, including nurses, administrators and teachers. Narcan will be available in the schools after the board approves the second reading of the new policy, which the board is expected to approve at its next meeting in February. “Hopefully, we never have to use it,” Yamin said. School officials have described carrying Narcan in schools as a proactive measure due to the dramatic increase in opioid usage and overdoses across the state. They have said there hasn’t been any issues in the schools with students, but they want the drug available for the community. Yamin said one Narcan spray will be kept in each school’s nurse’s office and another will be kept unlocked in a public area so it’s available to the public. Board members raised some concerns about the possibility of someone stealing the spray, if it’s left unlocked. Yamin said if someone takes it they will have the person on camera, but the drug needs to be available. Board Vice Chair Priscilla Cretella said if someone takes the spray they probably need it, adding if keeping the spray available in schools saves one life it will be worth it. Several other districts in the state have Narcan in their schools, including Waterbury, Milford and Cheshire. Region 16 worked with the Central Naugatuck Valley Regional Action Council to obtain the Narcan kits through a program and grant funding. Each kit has a shelf life of two years. Aside from the kits that will be kept in the schools, each person trained last month received their own kit, Yamin said. The training was done in collaboration with the regional action council and the Beacon Falls and Prospect police departments.